I've fallen hard for 18ct gold this year. I'm so excited to have introduced this exquisite metal into my collections. The buttery yellow glow of it has bewitched me and I look forward to sharing more fine jewellery with you in the future. Working with it makes me feel like I’m weaving rays of late afternoon sun into my jewels. You know, that richest, most awe inspiring glow you get from the summer sun at sundown. 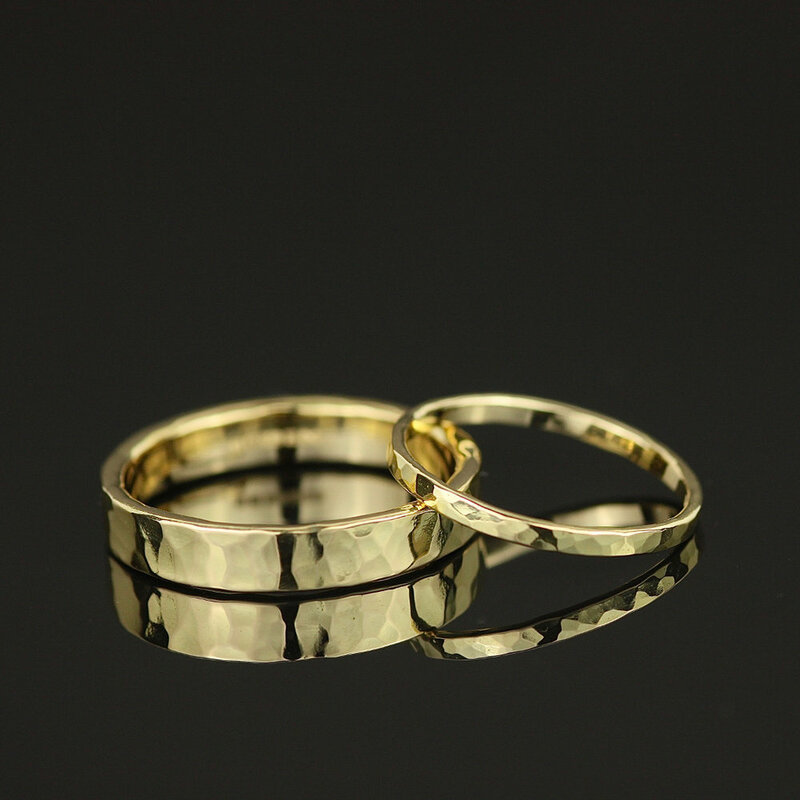 Any of my wedding rings can be made in 18ct gold, so please get in touch if you see something you'd like in 18ct that isn't on my site. Other than my wedding rings, I have a couple of small items available in 18ct at the moment. I am excited to pair this beautiful metal with some of the delicious gemstones I cherry picked out in India earlier this year and bring you some special pieces of unique jewellery.